Today's a grim day for British people, the general election promises a depressing fragmentation of what remains of the left, and the disturbing reappearance of a bunch of privileged overlords. Ugh. Today is also International No Diet Day (INDD). The legend goes like this: INDD was started by Mary Evans Young in 1992 as a response to her own struggles with eating disorders, and her horror of diet culture in the UK. She gathered together a group of women in London who had a picnic in Hyde Park, celebrating the beauty and diversity of human bodies, and pledging to enjoy a day where dieting and body hatred was not on the agenda. It rained that day, so the picnic relocated to Mary's place nearby. It's a lovely story, but I'd like to think about here because, as always, there are more complicated underpinnings to the day, which still influence my attitude to it 18 years later. I know about this stuff because I was at that picnic. Firstly, it wasn't really an impromptu picnic, it was a press conference that Mary organised under the name of Dietbreakers, which was the name she used for campaigning. It was meticulously planned! There was food around, but none of us got to eat very much because the day was an exhausting parade of reporters, television cameras, and sundry people needing a soundbite. It was exciting to be a part of it, I'd never really been on TV until then, and people wanted to talk to me because I was one of the fattest people in the room, and that's the kind of thing that TV news reports want to broadcast: an unrepentant fat girl making a show of eating stuff. Dietbreakers was ostensibly an organisation, but it was really a one-woman show, with various unpaid helpers, of which I was one. Dietbreakers was very important in getting anti-diet rhetoric into the mainstream media for a while, pressing the British government to recognise the failure of dieting through a hearing in Parliament, a move that would be unthinkable in these days where the diet industry is crawling all over the Palace of Westminster. 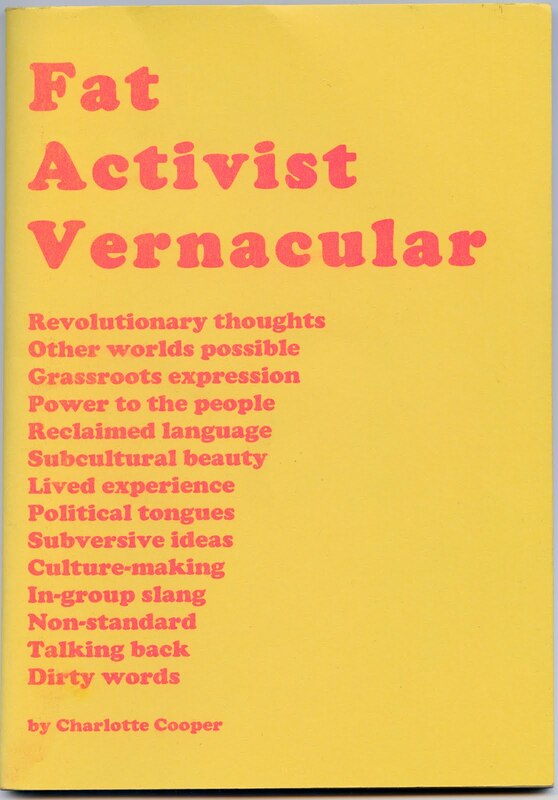 By participating in the whirlwind of her activity, Mary's supporters, including me, who were otherwise clueless at that time, got an amazing education in how to go about being activists in mainstream politics. It feels disloyal offering my own views about Dietbreakers here, which hints at the problems within the organisation. Perhaps we weren't really allowed to have our own thoughts or to contradict the founder's vision. I don't think that was a conscious strategy, but it was an effect of being fairly powerless within a non-democratic and non-egalitarian non-organisation headed by a formidable personality. I had ideological problems with Dietbreakers' assimilationist position. Then, as now, I do not court mainstream acceptance but prefer the work which takes place on the edges. Similarly, Health At Every Size has come a long way in coming to terms with its fatphobic elements (for example, the argument that weight loss is no good for the normals, but must still be advocated for the deathfats, makes an appearance from time to time), but I was coming across it with alarming regularity in 1992. Although I don't think that Dietbreakers was or is fatphobic, I felt that there were tensions between the organisation and what was important to me. Another dynamic was that Dietbreakers was being made into a business. An early Health At Every Size programme had become a franchise and had sold Dietbreakers a licence to use its materials. The group's supporters were offered further franchises at a knock-down price. I was living an underclass existence when this offer was made to me, at a price that was far beyond my ability to pay, I felt shocked and used and that was pretty much the end of my involvement. So I have a complicated relationship to INDD and rarely feel that I can endorse it wholeheartedly. INDD could be an important mobilising day for people. I still think it's a good idea, and has great potential. Others do too, because it has limped on for close to two decades, where Dietbreakers ended. 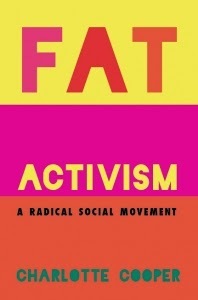 But I think it could be more than it is, it could be a platform for some really hot fat activism. I think that INDD fails to move me because its foundations are not entirely transparent and sincere. It's based on a carefully constructed fantasy that was used to push an agenda. Maybe my cynicism is what happens when you've seen too much of what goes on behind the curtain, it's impossible to maintain the fantasy of the picnic of carefree women, coming together to fight the system. I'm sure that this is true for other people who have first hand experience of mythological events. Today, a media event is a valid statement in its own right. Media is activism. I think what Mary did in courting the media is entirely legitimate and very skilled. Reflecting on the past now, I see that it's not the myth of the picnic that's impressive or inspiring, it's Mary's invisible work. Apart from the clearly problematic complicit silence that was required to maintain the illusion of the legend of INDD, I think Mary's strategies on that day were powerful. She constructed a story that resonated with people – which still endures – and got a big heap of attention for it. That's something I'm a lot more comfortable with celebrating. Do you think it can be turned into something that is purely positive? I don't know, it's up to other people to do what they want to do with it. What do you think?